HAPPY WEDNESDAY my sweet friends & welcome back to another "What a Treat Wednesday!" First off, before I get to my project, I just want to say a big CONGRATS to my younger guy "Anthony". Today is a BIG day for him because he is graduation from the 8th grade & headed to the BIG BOY highschool! :) I am proud to say that my baby will be graduating with honors! I am MOSTLY proud of, is that he has managed to maintain his 4.0 status since the 4th grade~! I have stressed to him that if he wants to still play baseball, it is VERY IMPORTANT to have excellent grades & I am HAPPY that he listened! 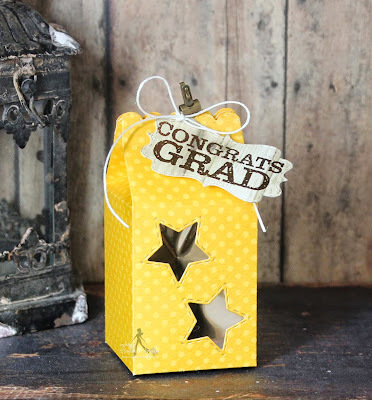 I decided to use the Milk Carton Die & it was SIMPLE to put together AND it hides the gift PERFECTLY! :) You can see in my video below how I created this! Cute little gift box! Love the little star windows! Congrats to Anthony!!! That's wonderful! Good Morning Miss Emma!! WOW What a special day Baby Anthony is graduating from Middle School OMG where has the time gone. Congrats to Anthony and I know it's such a special day for him and his family.....it'll be great that your two babies will be at the same school. 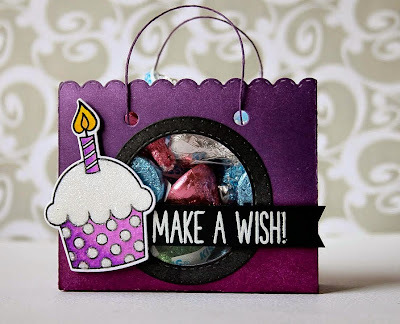 Love the Milk Carton Gift box you made for him it is so cute and since it is his day to be the shining star it was so clever of you to have is gift box have two shining stars love how that foil looks. 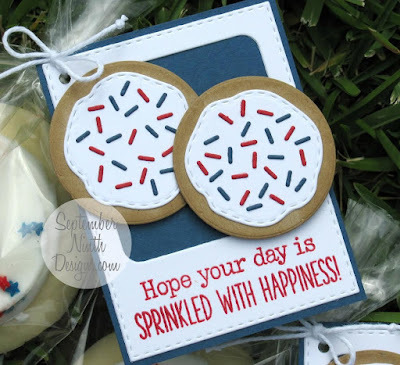 Loved your tag too....thanks girl for always sharing the extra clever and creative ways to use your goodies and another neat way to use the Deco foil. Have a Funtastic Day!! YOU ROCK!! So cute! Anthony will love his treat box! Congrats to all of you!!! Super cute treat Emma...and congrats to Anthony...his rockin' grades are awesome!!! Cute treat boxes!!! Especially that apron! Congrats to your son!! How is it possible that you have a child going into high school??? BIG congrats to Anthony!!! Way to go on the 4.0! Congratulations to your son!! I heard you talking about a "machine" to go with the deco foil ... can you tell me more about what machine?? Congratulations to Anthony! He has worked hard and he has wonderful caring parents. Your treat box turned out great. I could really see the shine on the sentiment in the video. Anthony will love this sweet surprise. The design team also had some pretty treat bags/boxes. The carton and bag dies are so perfect for quick treats or gifts. Love them. Great job everyone! Congrats to Anthony! 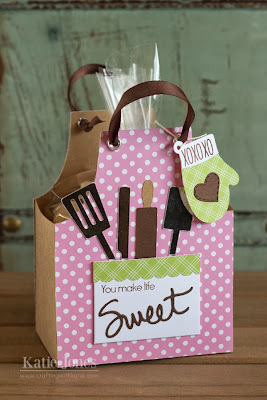 Totally cute treat box! !